In real estate, radon is a major topic of discussion especially here in Iowa. Outside of the industry it doesn't really get mentioned that is why I was so inspired to write a blog today after seeing it on the FRONT PAGE of the local newspaper. It's appearance there is due to January being hailed as "National Radon Action Month." For those that do not know, radon is a colorless, odorless gas that can seep into the home from the ground. It is produced by the natural decay of naturally occurring uranium in soil and water. It is also a form of ionizing radiation and a proven carcinogen. The Environmental Protection Agency (EPA) estimates that about 21,000 lung cancer deaths each year in the U.S. are radon related. For smokers the risk of lung cancer is significant due to the synergistic effects of radon and smoking. That sounds intimating but what most people don't realize is that radon is found in outdoor air! The concern is when it flows from the ground into buildings of all kinds and is not dissipated. Testing has proven that lower floors of structures, such as basements, have a much higher level of radon than other floors and that the gas fluctuates naturally. 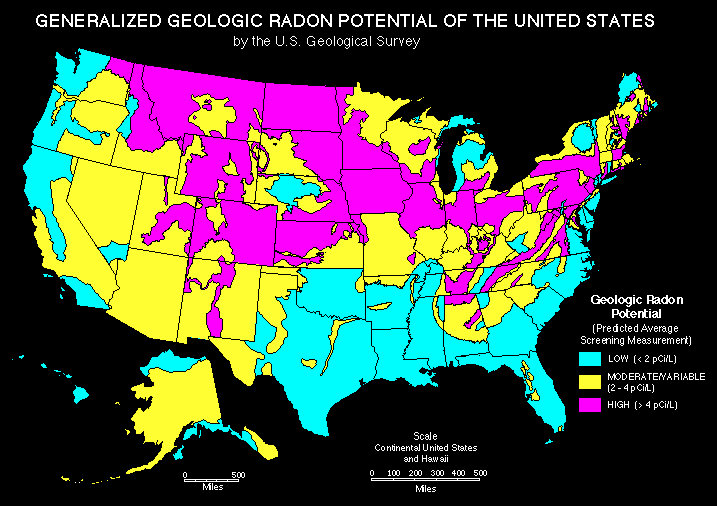 Iowa is listed as an area with high levels of radon. So, the question is how do you find out if the home you are buying contains high levels of radon? A licensed mitigation measurement specialist can come into the home and set up a testing unit for 48 hours. Once complete, you would receive a summary report. EPA recommends homes have mitigation if the radon level is 4 pCi/L (picocuries per liter) or more. If you choose to have mitigation, most installations are $800-1500 depending on the size of the home. If you are interested in testing the home you currently live in, you may purchase home testing kits at the Council Bluffs Public Health Department on Pearl Street for about $6. For more information the Iowa Department of Public Health has put together a Fact Sheet with more information and you may download it here.